The disruptive events leading up to the Gothic sack of Rome in 410 included many years of attacks on the temples and shrines of the Roman Empire’s traditional religion. After Emperor Constantine’s conversion, Christianity was the ascendant religion, and young Christian men, especially, were inspired to destroy the pagan sites, often causing great brawls and open warfare on Roman streets. 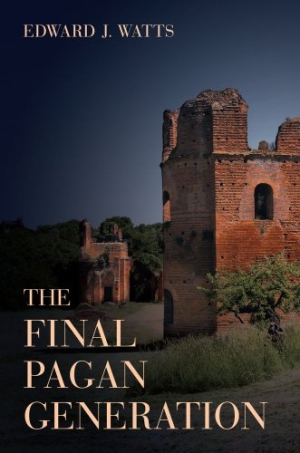 The last pagan generation was unwilling to match the Christian religious fervor, and the story of their lives is a fantastic slice of classical history.